‘Big sale – Save Money on Selected Items!’ These magical words are used by online retailers to grab the attention of as many consumers as they can. Offering discounts and bargains has become a way for retailers to score big with online customers. Of course, this gives out great shopping opportunities for savvy online shoppers out there. There are some fantastic, sneaky tricks to secure excellent online discounts and bargains to save money. The idea is to learn all the skills and implement them. Fill Your Cart and Leave It! As weird and funny as it may sound, this actually works. Visit the website, log into your account, and start placing the things you would like to purchase in the cart and then leave it as it is. Retailers are watching every move. They are eager to close the deal, and if you leave it midway, they might want to draw you back to it. You can expect an email with a discount code or sale on the same items. The key is to ensure you log into the account when you leave the cart. Also, this may not work for all websites so keeping your hopes up all the time may disappoint you. But if it’s your day, you are surely going to get lucky with this one! If you are a regular online buyer from a particular website and haven’t purchased anything lately, they might try to grab your attention back by offering you a coupon code. Keep a check on your emails. You may receive one there. Mostly, these discounted coupons have a very short life. So missing on them could mean missing out on a fantastic shopping opportunity. Sometimes, coupons also come like samples with the products purchased already. They are valid for your next purchase and should be utilized to save big. Other than that, don’t forget to check out different coupon websites as you can definitely find some bargain deals that will interest you. Look for your favourite online retailers on different social media platforms. Make sure you follow them and like their pages. They can sometimes be generous and have rewards, particularly for their online fans. You don’t want to miss out on such opportunities. Many retailers offer ‘giveaways’ if you just like, tag, and share their posts. Of course, most of these are done through balloting, but it is always great to participate and try your luck. Some retailers even throw random posts and offer discounts for the first 100 customers to comment on the post. Their marketing could be your opportunity – so don’t forget to keep a watch. If you have multiple coupon codes that you wish to utilize, first ensure you are allowed to do so. Not all retailers will allow this. But make sure you ask to know if you can. If you are allowed to use more than one coupon codes, use them strategically. For instance, if you have two coupon codes for 30% and 20% off, use the 30% first. This will reduce the amount by 30% on the total first before you can use the second coupon code. As a result, you can achieve more significant discounts. 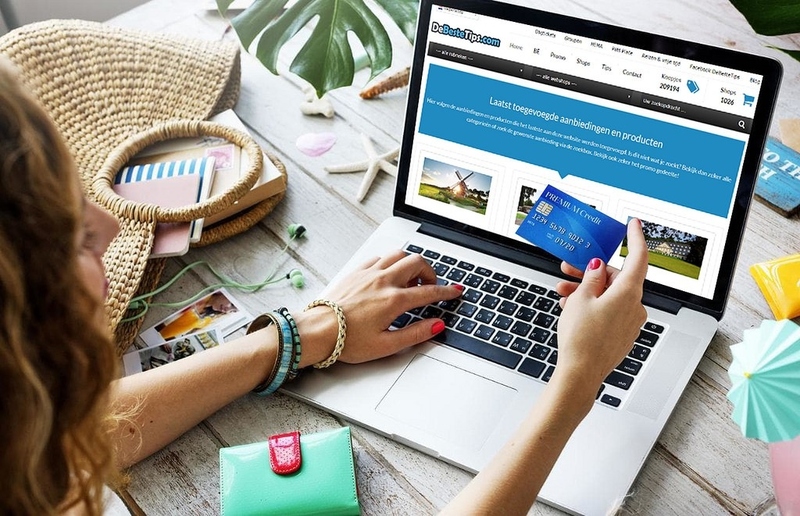 While it’s good to be cautious about sharing your personal information, signing up for email alerts on authentic retailers’ sites is definitely a great idea and can help you grab great bargains. Here’s the trick: sign up using multiple email addresses! This is especially beneficial with discounts available for first-time users and coupon codes. If you register with multiple email addresses, you can rack up multiple discounts and save big. It’s time to widen your list of favourite retailers. Don’t forget the competitors and sign up for as many online retailers as you can. This will not only help you score terrific deals but will also help you compare the prices for a regular purchase. With 2017 black friday sales around the corner, these tips are inevitably going to help you lock outstanding deals without stepping out from the comfort of your home.